While real estate tenants in Dubai are often searching for properties that are closer to metro access, prices for such areas are mostly more expensive than others, which creates a financial dilemma for both corporate and individual tenants alike. However, the good news for the emirate’s residents and retailers come with the latest findings of a research study that was carried out by dubizzle Property, which is one of the U.A.E.’s largest platform for renting and buying real estate properties. According to the study – which compiled the average prices for close-to-metro properties – seeking tenants can find affordable one-bedroom options with an average of AED55,000 a year in Hor El Anz accessible to the Al Qiyada metro stop. Properties in areas like Al Qusais begin at AED58,000 a year for one-bedroom flats, followed by the areas of Abu Hail, Al Jadaf and Naif with an average starting at AED60,000 a year and all with easy access to the same green metro line. As for the red metro line running between Rashidiya and UAE Exchange, prices tend to be higher as the demand is higher than other areas parallel to the green line, starting from one-bedroom apartments located near Deira City Center and Al Satwa (AED67,000 a year). 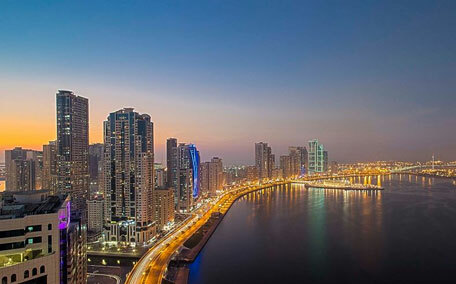 Both areas are close to the World Trade Center, Emirates Towers and Financial Center metro stations. “In 2016, there were 49 million rental property searches in Al Barsha and 22 million searches in Karama, which highlights the demand for rental properties in close proximity to the popular public transport means in the emirate,” said Ann Boothello, senior product marketing manager, dubizzle Property. “Dubizzle Property receives an average of 3.5 million visitors a month, with each rental property receiving an average of six inquiries once listed. Last year, we noticed that affordable communities near Dubai Metro stations receive a large volume of searches each year, and through sharing these insights, we aim to empower residents to make well-informed rental decisions,” she added. The area of Discovery Gardens comes next with an average of AED68,000 per year, followed by Al Barsha 1 at 70,000 and Karama at AED71,000. An earlier bulletin had foreseen a recovery in the Dubai property market in 2017, after the market witnessed stagnation and decline during the second and third quarter of 2016. According to the bulletin issued by CBRE for real estate advisory, prime locations in Dubai like Tecom, Dubai International Financial Center and the central business district shall witness increased rates that started the surge during the final quarter of 2016. “The overall supply levels are likely to increase in the coming quarters, following the multiple development launches during and after this year’s Cityscape Global event in September, and will see continued growth in the build up to Expo 2020,” said Matthew Green, head of research and consulting UAE, CBRE Middle East. All rights reserved to the initial publisher for Forbes Middle East.